We pick up and deliver from the following Florida locations. Backed by years of experience, highly trained professionals with state of the art equipment our rug cleaning service will ensure your precious rugs will be treated like a day at the spa. Our rejuvenation and cleaning methods will remove dirt, stains and bring back the plush fabric while giving you the like new clean and feel. 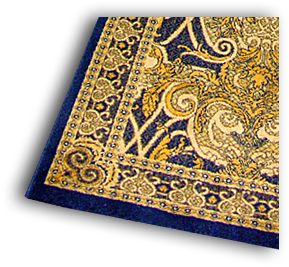 True Wool and Silk Orientals and Persians need professional cleaning skills! We know that each rug must be treated with individualized attention and care. Our technicians determine the best cleaning technique and method for your carpet, taking into consideration its particular weave, fibers and dyes. 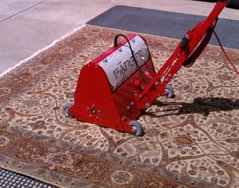 We use the most advanced technology for cleaning and rejuvenating your rug. A genuine hand knotted Oriental will last a very long time if you take a few precautions to protect it and keep it clean. At least once a year vacuum the back side of the rug. A dirty carpet wears prematurely and regular vacuuming helps prevent dirt on the surface from filtering down into the pile, where it can accumulate and cause increased wear. Our professional cleaning team will bring your rugs back to life. Our cleaning system keeps your Oriental or Persian looking clean longer. We are the only professionals in the Volusia and Flagler that offers a cleaning system that pampers your fine Oriental and Persian Carpets. Trusted by many. 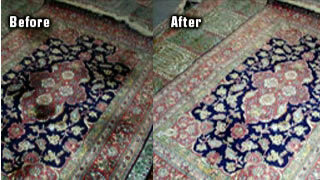 Professional Oriental Rug Cleaners Port Orange, Ormond Beach, Daytona, Palm Coast and Flagler Beach. 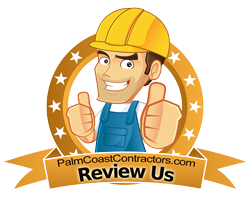 Operated in Port Orange Florida for 28 years. Each Rug is carefully washed with our 8 step rug cleaning steps. All Rugs are cleaned with our professional skills. We do not out source. We will evaluate your rug on site, recommend a treatment, give you an estimate. Free Rug Pick-up/Delivery. See details.